Starting Friday, May 22nd we will be starting up Night Golf! Tee times will be available after 8PM. Let me paint a picture for you what night golf is all about. At each tee box there are tiki torches that are used as tee markers, green glow sticks throughout the fairway lining the hole, glow sticks around the green, and the flag stick is brightly lit with a beam of light that shines on the hole. The prices are as follows : $23 for the Public and $20 if you are a FPG cardholder. Night Golf is walking only so if you need to rent a pull cart it is an additional $3. 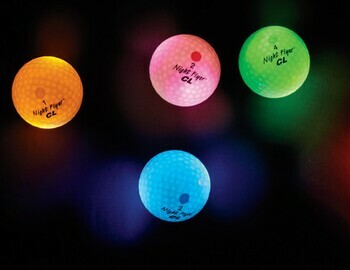 Grab your friends and head out to Meadowlark to experience what Night Golf is all about!